Much as I loved THE BREAKFAST CLUB, I would have to say that if I could only pick one movie and say “THAT is the one that made me a critic,” it would be Milos Forman’s AMADEUS. When it was released in 1984, like most teens I suspect, I wrote it off sight-unseen as another PBS edumacational-type biography about that dumbass classical music composer that your parents and teachers were always trying to get you to “appreciate.” Hard as it may be to believe, I was fairly ambivalent about school; by the standards of Top-10-in-their-graduating-class bookworms, I fairly hated school. Then when it swept the Oscars, again like most teens I suspect, I just thought — well, that’s just those old farts who didn’t even have the sense to nominate BEVERLY HILLS COP. 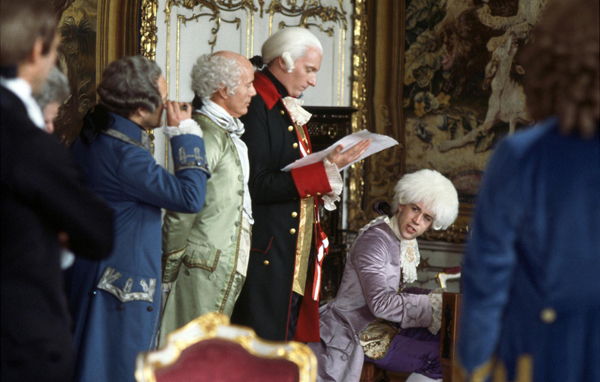 One Monday night at home, around 1987 or so, AMADEUS was playing on TV on one of San Antonio’s independent channels at 7 p.m. and my father wanted to watch it. I wanted to watch Monday Night Football, which started at 8 p.m. I told him more or less what I just wrote in the previous paragraph. My father, who apparently already had seen the movie, assured me that it was nothing like I thought and that if I promised to sit through the first hour, but didn’t like it, we’d switch it over to MNF. I watched THE BREAKFAST CLUB at the weekend at the AFI, as part of its John Hughes retro, seeing it for the first time on a theater screen. 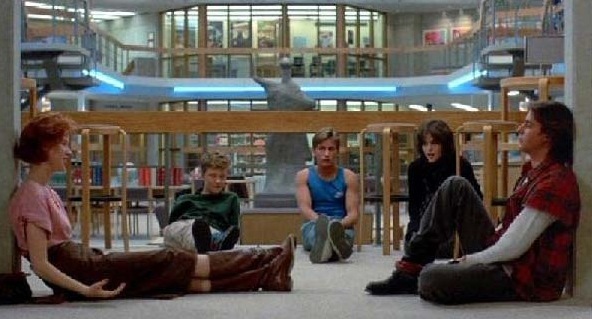 I acknowledged on my Twitter feed that while I really genuinely do think, in my head of heads and heart of hearts, that THE BREAKFAST CLUB is a great film, worthy of comparison to the great works of realist theater from Eugene O’Neill or maybe even Anton Chekhov, it’s probably impossible for me to be objective about it, for accidental reasons of biography and age. But then I thought — well, why not write about that and make it an intermittent series about the films that most shaped me and influenced me, as Paul Clark once did and taking the same Truffaut-inspired title.